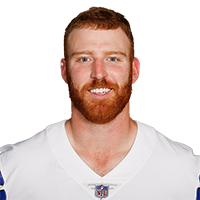 Published: Aug. 10, 2018 at 12:25 a.m.
Dallas Cowboys quarterback Cooper Rush connects with wide receiver Lance Lenoir, who uses some fancy footwork on a 2-yard touchdown grab. Published: Aug. 26, 2017 at 11:01 p.m.
Oakland Raiders quarterback Cooper Rush throws deep to wide receiver Lance Lenoir for a 44-yard touchdown. Published: Aug. 19, 2017 at 09:48 p.m.
Dallas Cowboys wide receiver Lance Lenoir pulls down touchdown from quarterback Cooper Rush.